Jealousy and envy. They’re real. They show up in sneaky ways. Sometimes, before you realize it they’ve made their home in your belly, and you feel awful that you could be so jealous or envious. Your life is great after all — right? JEALOUSY is “mental uneasiness from suspicion or fear of rivalry, unfaithfulness, etc.” It’s an unhappy or angry feeling caused by the belief that someone you love (spouse, sibling, friend) is liked by or likes someone else more than you. ENVY is an unhappy or angry feeling caused by desiring what someone else owns. You want what they have, and you feel inadequate for not having it. You know how it goes. You’re hustling in life, your Facebook photos are on point, your life seems pretty swell, not perfect, but swell. Then here comes Christy with photos from her trip to Europe, her perfect wedding, and her gorgeous baby. Of course, you love Christy. She’s an incredibly sweet person, and honestly, she deserves all of these wonderful things in her life. But still, in your happiness for her you can’t help but notice that small tinge of envy. Maybe you’re worried you’re being a bad friend, daughter, neighbor, parent by being jealous. You’re not being supportive of this other person. But what if I told you that your jealousy or envy has very little to do with them, and a whole more to do with you and your needs? What if I told you that it’s okay to feel jealousy or envy? That they can exist alongside your love and support of someone in your life who you feel jealous or envious of? The world is a sea of mirrors. Those we encounter are a source of reflection and introspection; mirrors that allows us to see what we want and what we don’t want in our lives. Jealousy and envy is one way that mirror to our internal needs works. What if we looked at jealousy just as a feeling? Strip away the judgments, shame, and any other negative self-talk. What if we explored the feeling a bit deeper, and looked at it square in the eye? When did I begin to feel jealous? What was said or how did they say it that catapulted the emotion? What is this jealous feeling calling attention to? You might say, “Sure, that’s easy! They have what I want.” Okay, great. But why can’t you have it? Sit with that. Why can’t you have what they have? Why do you want what they have? Are you not good enough? Pretty enough? Rich enough? Bold enough? Brave enough? Smart enough? What do you believe so deeply about yourself that you feel you will never achieve what they’ve achieved? For me? I believed I was stupid. I was dumb. I was never going to be bright enough to go to graduate school to get my masters. From a very early age I had authority figures and school teachers who reminded me constantly that I wasn’t smart enough. They served me their shortcomings on a platter, and I ate it all up. I believed them, and it was my truth for 30 years. I deprived myself of a graduate degree for years because of it. So naturally, when I saw my friends and peers going to graduate school to pursue their degrees and dreams, I was envious. I wanted what they had. That feeling of jealousy and envy in your gut? It’s the feeling we get when we want something that we so desperately crave, but believe there’s no way on earth we can have. It’s the feeling of being trapped in a cage, reaching through the bars for food and water and never even getting close. I needed to pursue my purpose of healing others, and that meant believing in myself enough to apply and go to graduate school. What is the source of your jealousy or envy? How is it keeping you from what you desire? You might say, “Well, I don’t need that Prada bag Christy has. There is no source. I’m just jealous. That’s it.” Is that it? What does that bag symbolize for you? Did you grow up never having enough? Was there not enough food? Not enough soap? Not enough to buy that nice dress? Did this maybe challenge your sense of security in the world? Suddenly, that Prada bag has a whole lot more meaning, doesn’t it? Maybe what you really envy is the sense of security that your friend has in her life. So, ask yourself, do I feel secure in my life right now? What made me feel a lack of security growing up? Investigate your jealousy and envy. Don’t judge it. Let it work for you in your healing. Allow the mirrors and reflections to do the work they came to do in your journey through life. As we’ve seen, jealousy and envy can often point to a lack of confidence in oneself. What is the story you’ve been telling yourself for 30 years? Or 15, 10, 60 even? And how has it weakened your self-esteem in the process? The jealousy/envy machine points a giant spotlight onto your negative self-talk. It turns up the volume on all the voices you’ve heard your entire life that have guaranteed that you know you’re not good enough. But is that really you speaking? Or was it that your father, school teacher, mother, sibling, etc. who planted this lie into your head years ago? If you can identify these deep-seated messages within your mind, you can begin to challenge their validity. So, how can you glean an “Aha!” moment from the jealousy you feel for your friend Christy? Well, we’ve determined that Jealousy and envy come from a feeling of lack. We ask ourselves what we’re lacking inside, and what are we telling ourselves about that lack? STEP ONE – Use your jealousy or envy to catch the thoughts around your self-worth that it brings up. It’s okay to be brutally honest. Remember, there is no judgment or shaming around this feeling. What are the thoughts that come up for you? Make sure you focus on the thoughts that come up about YOU, not the other person. STEP TWO – Write every single statement or thought that comes up for you. Write them out one by one, so you can hone in on where they came from and what significance they have for you. STEP THREE – Now, ask yourself a very important question about each statement. Is there absolute concrete evidence that this statement or thought is 100% true? If you can’t prove it, it’s not yours. Was I too stupid to go to graduate school? Of course not! I had a bachelor’s degree already. I was already in a successful career, and had built a pretty successful life. Why was graduate school going to be any different of a challenge than everything else I had taken on? But having heard that I was “stupid” in school as a child had ingrained itself into my psyche. I couldn’t see past it. I believed it with every fiber of my being, even if there was zero truth to it. I had made it mine when it absolutely did not belong to me. They were shortcomings of authority figures and school teachers believed about themselves, and the pain of carrying it was so great they felt compelled to pass it down to me. Face every single statement and thought you have about it. Challenge its truth. Because here’s the bottom line: we lack nothing in this life. We’ve been given all of the tools we need to fulfill our purpose. The challenges we face are only one more tool on this journey of embodying who we are. Jealousy and envy don’t have to be emotions that cripple you. They can be tools that heal help heal you. Want a little help with identifying the source of your jealousy or envy? 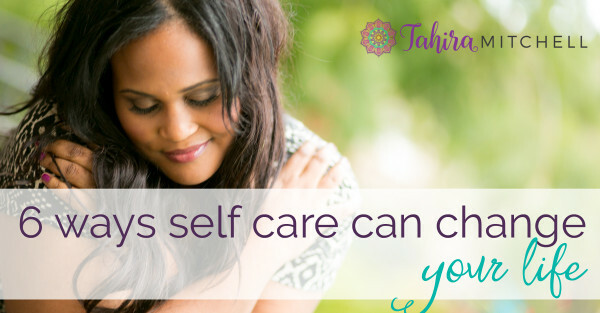 Sign up for a 90-minute confidence boost with me Tahira, your life-healing coach, to help you build a healthy self-esteem. Let’s launch your healing, shall we? 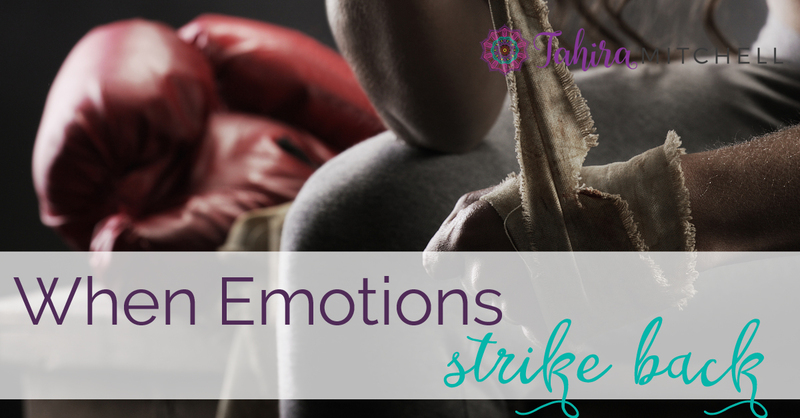 I have been grappling with certain emotions over the past few months. I just came to realize that it was jealousy and envy that I was feeling. I was on a path to find out and understand how to undo these feelings. Your article came to me in the nick of time. I cannot tell you how much I appreciate the tools you have given me to work through this issue. Thank you so much Tahira ! Your so welcome hon!! I am very honored the tools provided you with some insight and relief. Love and Hugs to you! whoah this weblog is fantastic i loove reading your posts.